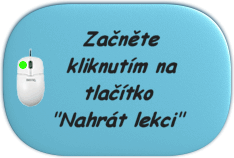 Hledáte zde: na = pour? Použití pojmu pour ve větách. Crush it to smithereens, and pour the hot thought out on to the snow. He was in the act of pouring his eighth drink when the door opened. And fought, and poured obscenities out at his attackers. Tike was pouring across maps on his heliodisplay. Feel the pulse of human blood, pouring forth. Ella poured hot coffee into a mug. Blood was pouring from his cheek.